Gather round, make a list, and place your order now. What are you waiting for…? 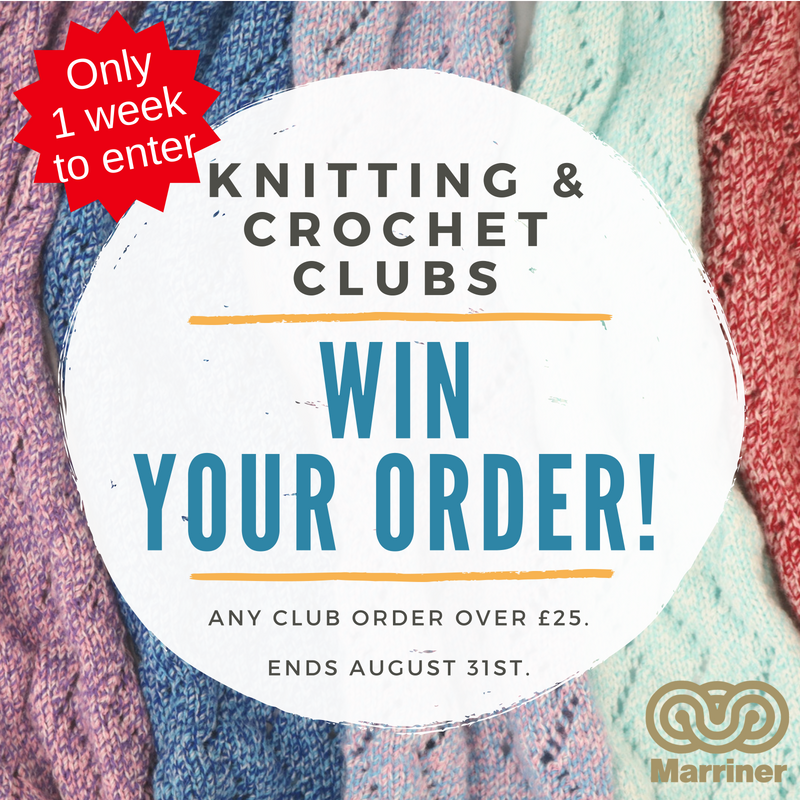 Bring your club together and place an order over £25 on Marrineryarns.com before August 31st, and your club will be in with a chance of winning your total order value back in Marriner Vouchers. Our theme for July sought to celebrate all of the yummy food that brings us all together this time of year. Sunny picnics in the park, strolls along the beach with ice cream in hand or last minute family BBQs in the garden – we wanted you to share your best foodie makes that make our mouths water. 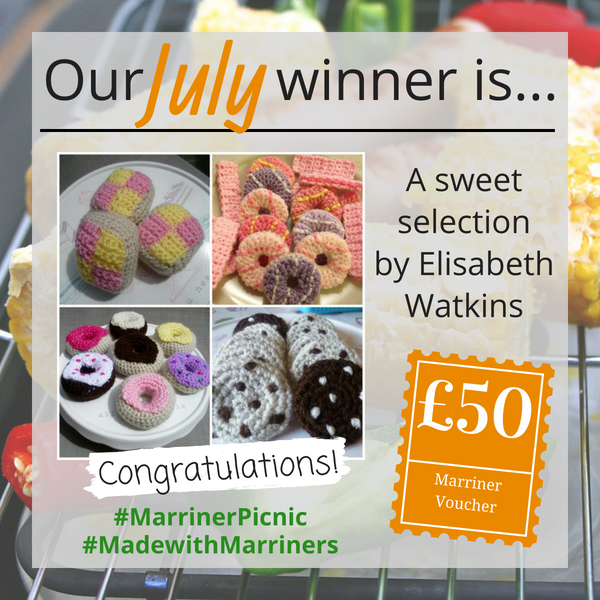 View all of the #MarrinerinPicnic entries here. April was National Pet Month, and we wanted to shine a spotlight on some of our animal friends and everything they do for us and the importance of caring for a pet….